This is a huge event, and with temperatures moving steadily higher this week, you can expect to see lots of fish (and to have lots of competition!). In addition to over $3600 in prizes, there’s a raffle that includes donations from local businesses. The weigh-in is at 4:30PM at the Community Center. 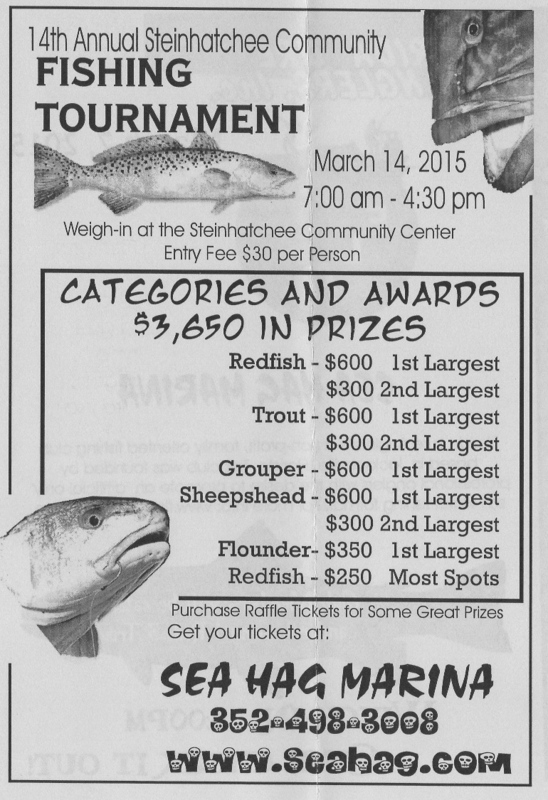 Entry fees ($30 per angler) can be purchased at the Sea Hag Marina.